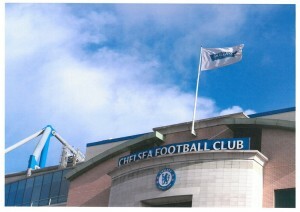 Stamford Bridge has been the home of Chelsea F.C. since 1905. Currently the 8th largest stadium in the Premier League, it was renovated into it’s current all-seater venue in the 1990s with a capacity of 41,663. On non-match days it is regularly used as a conference and exhibition facility. Although the Chelsea F.C. 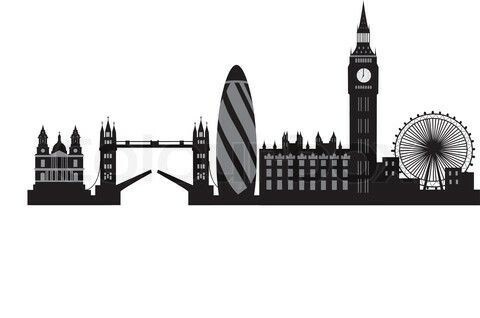 Football is situated in the London Borough of Fulham it borders the Borough of Chelsea and is very close to the trendy King’s Road and the smart Chelsea Harbour with it’s contemporary hotels and restaurants. Within easy walking distance of the ground are a host of upmarket galleries and design studios, as well as plentiful bars and eateries to suit every taste and price range – everything from traditional British pubs to high-end Japanese cuisine. BY TUBE: nearest tube Fulham Broadway. Use the M25 to junction 15 and turn off onto the M4 towards London. Follow the M4 which becomes the A4 up to Hammersmith. Go over the Hammersmith flyover and a further 1.5 mile before turning off for Earls Court. Go past earls Court Station and across Old Brompton Road, eventually reaching Fulham Road. Turn right at the traffic lights. After 600 yards the ground is on the right. Cross the river at Wandsworth Bridge and head up Wandsworth Bridge Road. At the junction with New King’s Road turn right and then immediately left. This will take you up to Fulham Broadway. Turn right onto Fulham Road and the ground is 400 yards on the left. CAR PARK: There is a car park on site which is £2.00 an hour or £36.00 for the day. Copthorne Standard Room Single Occupancy £101.00 per room, per night, including Breakfast, plus VAT at 20% Double Occupancy £111.00 per room, per night, including Breakfast, plus VAT at 20%. Millennium Superior Room Single Occupancy £126.00 per room, per night, including Breakfast, plus VAT at 20% Double Occupancy £136.00 per room, per night, including Breakfast, plus VAT at 20%. Millennium Club Room Single Occupancy £161.00 per room, per night, including Breakfast, plus VAT at 20% Double Occupancy £171.00 per room, per night, including Breakfast, plus VAT at 20%. 2MB Wi-Fi is inclusive on the rate English breakfast will be served at the 55 Restaurant at the Copthorne Hotel. CFC hotel booking form 2019. When booking, please use the London Fabric Show Block ref code: LOND030319.